Do you feel you've lost your connection to your inner light, and are having trouble finding your inspiration and guidance in life? Perhaps the words of Rock Psychic Chickie Haute can provide some answers. 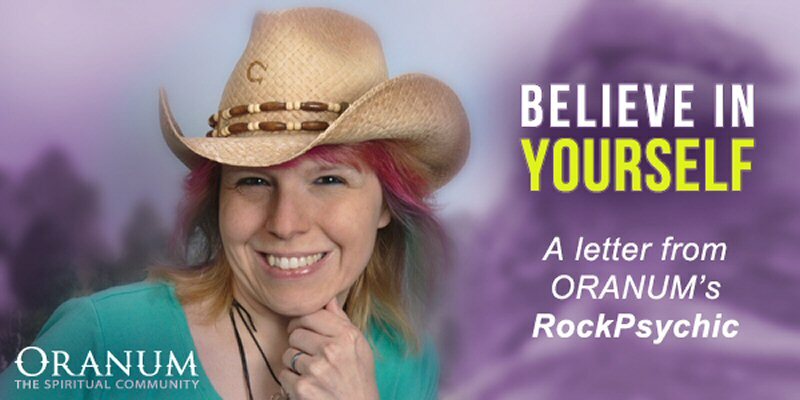 As a follow-up to her Q-and-A session about believing in yourself, Chickie has expanded further upon her guiding principles about following your truth as opposed to the truths of others. As Rock Star Chickie says, the truths of other people can overpower our own momentarily — only if we allow them. Question: How can we create a better life for ourselves? Answer: Self-faith and life mastery empower you to do anything with your life and have anything you desire. It is up to us as individuals to accept and install truths that serve us as part of our belief system. When we believe in the truth of others and lose touch with our personal truths, we are not exercising our personal authority to meet our desires. Question: What effect will these truths have on our lives? Answer: Truths can transform our lives for the better or worse. If we have an internal conflict between our truth and our desire, our lives will change for the worse. This is how we develop problems in our lives! A perfect example of this is knowing, "my life is a sweet tragedy," but desiring the statement "I want a better life." Question: How else can we move toward personal growth? Answer: Having the courage to step away from the expectations of our environment and be one with one's self in meditation or silence can be our greatest ally for personal growth. Question: How does this lead to transcendence? Answer: Transcendence happens when we realize and implement changes necessary for us to succeed, attain abundance and feed our desires. Question: What about our imperfections? What should our attitude be toward them? Answer: We are all beautiful, unique pillars of light that, like every rose, has its own imperfection. Those imperfections make us perfect at this one moment in time. Accepting and embracing those imperfections will help us to love each other unconditionally and grow. Question: Where can we find guidance and support that will help us when we struggle? Answer: Using resources such as psychics, life coaches and hypnotherapists can be an excellent start to better understanding the root of the issues that may block us from the greatest abundances in life. Those abundances come from our support systems, relationships, business, education or even the tranquillity we seek, etc. As you can see, Rock Psychic Chickie is a compassionate and intuitive psychic who can help you answer the difficult questions you might have about your life and your future. If you are looking for guidance, her opinion can give you peace of mind. Contact Chickie today at http://www.oranum.com/psychics/RockPsychic. Oranum is the leading psychic social network and spiritual community. It's been featured in music videos, used by celebrities and recently celebrated its second anniversary. If you want to learn how to harness your inner power, visit www.oranum.com.